The successor of the famous Office Resource Kit Tools (ORK) to customize the Office installation is now called Office Customization Tool (OCT) and is included within the original setup so you don’t need to download anything. To start the Office Customization Tool (OCT) type setup.exe /admin. At the end of the process, the OCT saves your choices in a MSP file. 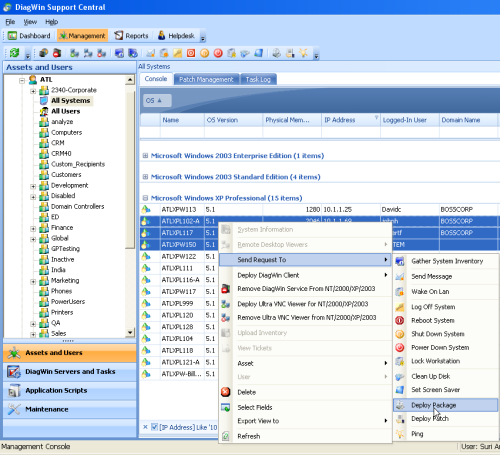 The customization file results in uniform default configuration of the product for all users. You can allow Setup to apply the customization file automatically by storing it in the Updates folder at the root of the network installation point. During the installation, Setup finds and applies all the MSP files in the Updates folder – both customization files and Software Updates – that match that product. You can specify an alternate location for MSP files in Config.xml, or you can point to a particular customization file by using the /adminfile command-line option. This is a good resource about the OCT on the web. Step 3 – Just do it! The custom installation can be invoked by running setup.exe with no commandline parameters if the custom .MSP file was saved in the Updates folder off the root of the installation directory. In the Microsoft Office installations all .MSP’s located in the Updates folder are applied during setup making it easy to add updates to the base installation as they become available. This is easier than the previous method of slipstreaming updates and patches into the Office setup routine by applying patches to an administrative installation point. Instead with Microsoft Office you simply have to copy the .MSP files to the Updates folder and setup will process them during the installation routine. If the custom .MSP created with the OCT wasn’t saved to the Updates folder you can run setup against it by adding the /adminfile switch and pointing to the network location of the .MSP. Go to the BOSS Support Central Console and choose the OU / Computers that you want to deploy Microsoft Office . Right click and send a Request to “Deploy Package” and choose Microsoft Office. Step 5 – Sit back and Relax!! Your virtual employee BOSS Support Central is taking care of your Microsoft Office roll out – investment $$$ @ work! BOSS has helped several customers in improving Operational Efficiency through IT automation.We are experts in ITAM / ITIL implementation.